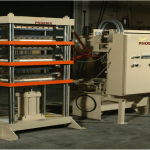 Our hydraulic presses include draw presses, form presses and triple action presses for your shop. 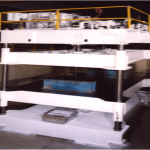 These presses are equipped with a triple action pressing sequence to achieve a part that requires a draw and forming operation utilizing a cushion in the bed of the press. 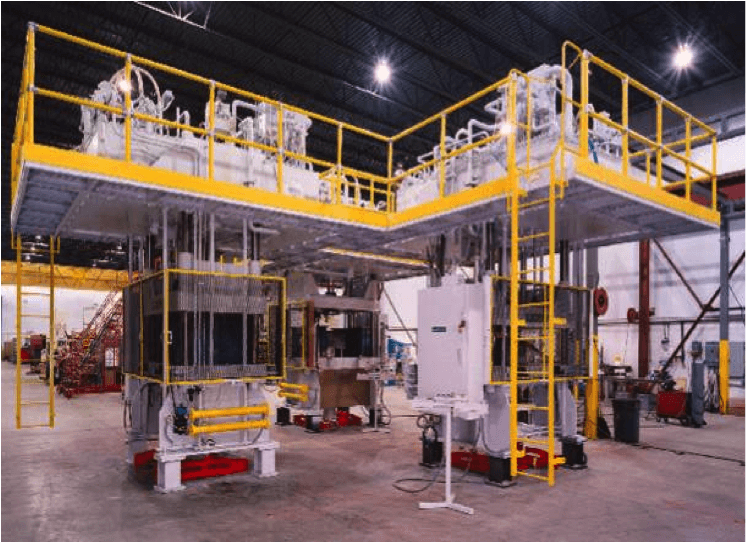 The presses integrate a common platform to accommodate the new building where these machines will be housed. 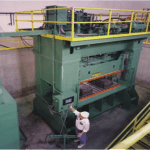 The presses consist of a 100-ton punch capacity, 50-ton clamp capacity and 50-ton cushion capacity. 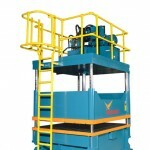 These presses are also equipped with position control system repeatable within +.002. Position set points are controlled through an operator interface. 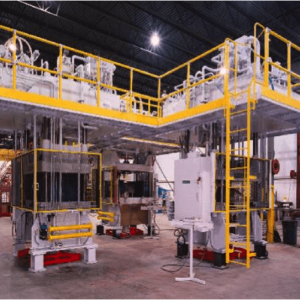 The presses feature a quick die-change system consisting of hydraulic die lifters; removable die change rails and a die-draulic position control system.